'I was born because a man came to kill my father.' It is 1950s America and madness is in the air. In a world where the 'cures' for craziness include coma therapy, cyanide treatment, sulphur injections and full-frontal lobotomies, Dr. William T. Friedrich's ambitions are more modest. He just wants to find a way to prescribe happiness. 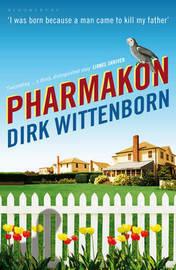 Friedrich, a young, ambitious professor of psychology at Yale has stumbled upon a drug that promises to make him famous. Derived from an exotic plant, 'The Way Home' seems to possess the secret ingredient of happiness. But Friedrich and his colleague Bunny Winton must find subjects willing to test their hypothesis, and in Casper Gedsic, a fiercely intelligent, socially inept, near-suicidal maths student they seem to have found their perfect guinea pig. But when their experiment goes awry and Casper's thirst for revenge turns murderous, his actions will have consequences that haunt Friedrich and his family forever. Friedrich's youngest son, Zach, who owes his existence to the fallout of those turbulent months, grows up in the shadow of Casper Gedsic. For him and his family, the bogeyman is real. Despite Friedrich and his wife's best efforts, they remain defined and imprisoned by the memory of Casper, and his presence continues to haunt them as they move from their well-ordered suburban life of post-war America through the chaos and freedom of the counterculture into the drug-fuelled, media-crazed eighties and beyond, each pursuing their own quest for happiness while tainted indelibly by the past. 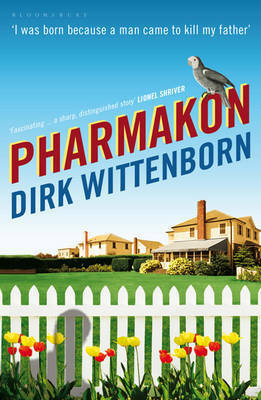 Dirk Wittenborn is a screenwriter who lives in New York City.